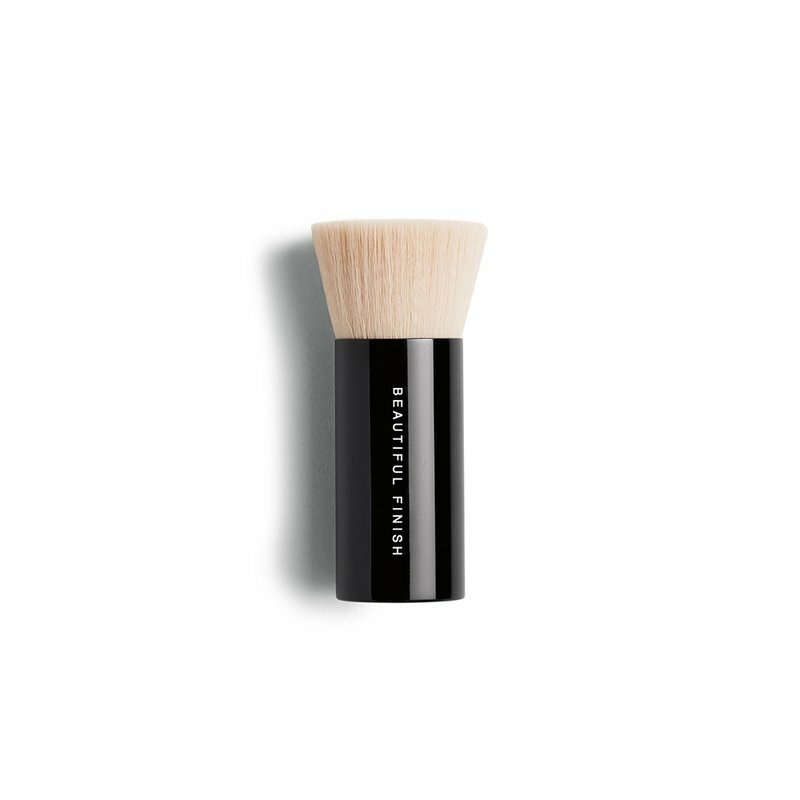 This luxuriously soft, extra-large, patent-pending brush delivers fast, even, controlled coverage to reduce application time. Engineered with a unique convex center and waved synthetic fibers that hold powder like water to a sponge, it deposits more product with less effort. Its skirted silhouette fits perfectly into our proprietary ORIGINAL and MATTE Foundation lids to help capture (and contain) every mineral.